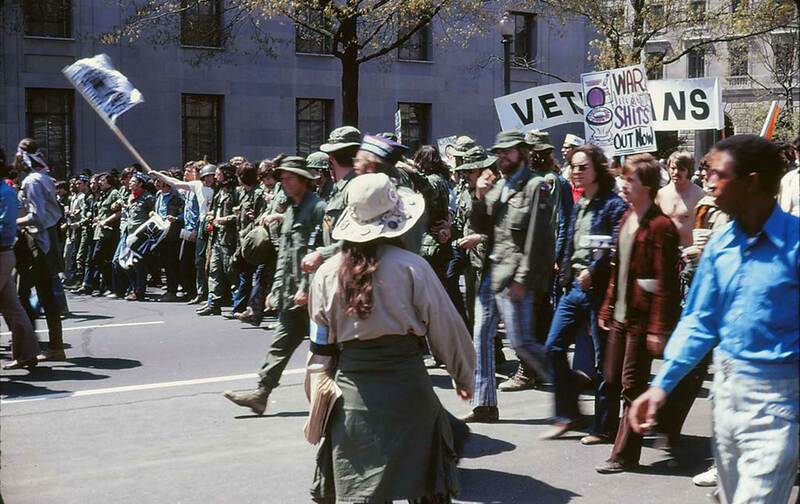 Veterans and activists lead a protest against the Vietnam War in Washington, DC, on April 24, 1971. On April 18, 1971, nearly 1,000 Vietnam veterans and Gold Star parents descended on Washington, DC, for a six-day protest codenamed “Operation Dewey Canyon III.” The first two Dewey Canyons were secret military offensives into Laos, but for the third, hundreds of people camped on the National Mall in what they called a “limited incursion into the country of Congress.” Events included marching, singing, and guerrilla theater led by the cast of the Broadway musical Hair. If these muscular calls for progressive reform had been issued by anyone other than a rowdy cadre of battle-weary veterans, lawmakers might have scoffed. But the following year Congress passed 14 laws strengthening veteran benefits. They expanded health care and student-assistance eligibility, extended certain VA benefits to widowers, and established life-insurance policies for the severely disabled. Since the country’s founding, veterans have succeeded in securing promises from the US government. Revolutionary War veterans received the first public pensions in 1818, and veterans’ benefits have accrued slowly but surely ever since. Spearheaded by membership-based veterans’ organizations like the American Legion, the Veterans of Foreign Wars, and Vietnam Veterans of America, grass-roots advocacy and agitation won many of these advances. In 1977, when lawmakers sought to consign the Senate Veterans Affairs Committee to subcommittee status, veterans’ groups organized a phone-in that jammed the Capitol Hill switchboard. Over the years, many lawmakers have made it a point of personal pride to establish or expand veterans’ programs that alleviate hardship or provide opportunities in education, employment, and small-business development. 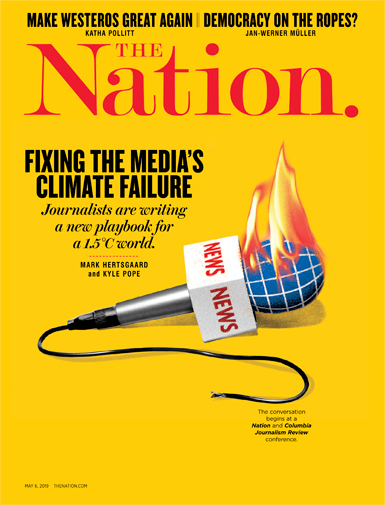 “While any type of universal health-care system would have economic consequences, the associated gains—no longer worrying about coverage loss after a job change, for example, or feeling stressed about finding in-network doctors—for me [these] outweigh that burden,” Tao wrote. Yet as an invigorated left looks to propose and implement new ideas, few point to the VA as evidence of effective socialist policy. Instead, liberals have ceded rhetorical ground to corporate and right-wing actors hell-bent on destroying the most progressive agency in government. Moreover, once-powerful membership-based veterans organizations are facing diminishing finances and influence, and now must compete against well-heeled corporate and ideological lobbies. In this environment, services have been eroded, and the VA could soon be privatized altogether. Kristofer Goldsmith, the associate director for policy and government affairs at the Vietnam Veterans of America, noted that as privatization efforts have ramped up: “Suddenly there’s a profit motive for healthcare-related companies and their lobbyists to swoop in try to get a piece of the pie.” Not surprisingly, veterans’ advocates have sometimes struggled to counter the influence of such entrenched interests. “It’s always going to be an unfair fight. It’s veterans fighting for quality health care versus faceless corporations fighting for dollars,” Goldsmith said. Since the 2003 invasion of Iraq, congressional budgeting for veteran support has not kept up with the millions of new veterans returning home. Today there are nearly 50,000 staff vacancies and an outdated technological and physical infrastructure that inhibits care and services. In 2010, Congress even slashed VA’s clinical-care budget for its most disabled veterans. These austerity measures have led to lapses in the quality of care. The most publicized instance came in 2014, when dramatic evidence emerged that showed administrators at a Phoenix VA hospital tampering with scheduling data, leaving some veterans waiting months for an appointment. An unholy trinity of corporate lobbyists, CVA staffers, and Republican lawmakers quickly pushed privatization measures in Congress as public anger remained high. Almost immediately, Democrats caved. Even Senator Bernie Sanders supported the resulting law, the VA Choice Act, which sent $10 billion and thousands of veterans into the private health-care industry. This emergency legislation committed just $6 billion to the VA itself, not enough to fix the underlying problems that had caused long waits in Phoenix. During the five years since the Choice Act was passed, CVA’s influence has only grown. Today, CVA lobbies Congress, organizes on the ground, runs ads against candidates opposed to their “reform” agenda, and uses surrogates to spread its message through the media. Last year the organization’s recently launched CVA Foundation produced a full-length documentary called “The Care They’ve Earned” on problems with the VA, which has been screened in Arizona, Wisconsin, Ohio, and other states. These efforts have been complemented by right-wing think tanks like the Heritage Foundation, who have applied the same sorts of entitlement-shaming tactics on veterans that have long characterized their attacks on food-stamp and Medicare recipients. Health-care interests have also continued to lobby hard on veterans’ issues, and they have ramped up their donations to relevant lawmakers. During the 2012 election cycle, the last before the Choice Act was passed, health-care interests donated a combined $4.3 million to members of the House and Senate Veterans Affairs Committees, according to data from the Center for Responsive Politics. During the 2018 cycle, donations from health-care interests to these committee members more than doubled, to nearly $10 million. In recent years, large health-care companies, including Emory Healthcare, Anthem, and United Health Group, have also set up subsidiary networks aimed exclusively at enticing veteran patients to sign up for private insurance. Trump has signed more than a dozen bills aimed at veterans. His first, The VA Accountability and Whistleblower Protection Act, gutted civil-service protections for low-level VA employees and enabled a firing spree that continues to this day. Trump’s most recent accomplishment—The VA Mission Act—is set to make permanent the privatizing principles set forth in the Choice Act. Depending on how final eligibility rules are written, the Mission Act could send millions of new veterans into the private sector. Proponents of Mission argue veterans are better and more quickly served by strong partnerships with the private sector, yet virtually all veterans’ advocates point to a voluminous body of research rating VA care as better than the private sector. Moreover, private hospitals are unprepared to treat the often complex health needs of veterans, many of whom struggle with combat-related injuries like post-traumatic stress disorder, traumatic brain injury, and sicknesses tied to chemical weapons like Agent Orange. The Koch brothers–funded CVA has launched a campaign in support of Mission’s draft rules, and it has staked out an ambitious agenda for 2019 that includes instituting “cost controls for the VA budget.” Right now they face little pushback from the left. A number of younger, progressive veterans’ advocates are working to connect and train veterans in political organizing and advocacy, including Goldsmith’s High Ground Veterans and Common Defense, which is lobbying on veterans’ issues in Congress. Traditional veterans’ organizations also remain influential in Washington, yet many count Trump supporters among their members and must tread lightly in opposing his platform. Nearly 40 years after the Dewey Canyon demonstrations, Vietnam veterans are still advocating for themselves, even if they don’t have the same influence. On a recent evening inside Community Church of New York, more than 20 members of the New York City chapter of Veterans for Peace (VFP) discussed how they could protect their care and push back on Mission’s statutes that will push people into private care. Skip Delano, a Vietnam war veteran running VFP’s “ Save our VA” campaign, said veterans advocates in Washington “haven’t done anything” to defend the agency, and that his efforts at collaboration with other veterans groups have largely been rejected. He expressed a deep frustration with lawmakers, but said hoped concerted action could spur results.